I tell everyone I know all about my excellent experience with this college. The option to learn in a nontraditional way is so valuable because it does open up the doors that are otherwise closed for many of us. When they complete their master’s degrees in nursing at Excelsior College® this month, Brian Pervis and his brother Brandon – both registered nurses -- will be meeting critical needs in the U.S. nursing workforce. 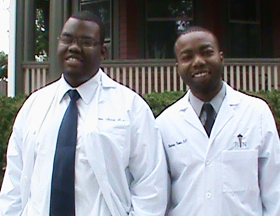 The two brothers are earning master’s degrees, and recent studies have reported a need for this advanced education among registered nurses. As nursing organizations raise concern over a shortage of minority nurses – just 11 percent of the nation’s RN workforce is from minority groups — the Pervises are African Americans. As male nurses, they are also boosting the ranks of men in nursing: just 5.8 percent of the nation’s 3 million registered nurses are men. Brian Pervis, 29, is heading for a career in nursing education, a field where a shortage of educators is critical. Brandon, 25, works in an urban community health center serving uninsured and underinsured patients. The Pervis brothers hail from New Haven, Connecticut, and will travel to Excelsior College’s 40th Anniversary Commencement festivities July 7-9 in Albany, New York. The Commencement event for graduates of the accredited, nonprofit distance learning college takes place Friday, July 8 at 3 p.m. at the Empire State Plaza Convention Center. Brian and Brandon are among more than 5,500 graduates who completed degrees during the 2011 academic year at Excelsior College, which has degree programs in nursing, liberal studies, health sciences and business and technology. Those attending Commencement will travel to Albany from around the nation with family and friends. Many will bring the young children who shared homework time together with their parents around the kitchen table. Excelsior graduates are typically working adults balancing jobs, family and college coursework in order to grow their knowledge, improve their lives and the opportunity for career advancement. With an average age of 37, they are members of the military, nurses, business professionals, engineers, and liberal studies majors with broad intellectual talent. During this academic year, graduates hail from all 50 states, the District of Columbia, Guam, Puerto Rico, the U. S. Virgin Islands, and 22 other countries. Rocio “Rosie” Villa, 44, of Niskayuna, New York, a mother of two who earned her Bachelor of Science in Liberal Studies degree and a certificate in homeland security, opening new career doors in her future. She works as a crime victim specialist for a New York State victim services agency, and is fluent in Spanish and Russian. Stephen and Angela Tullos, 42, and 36, respectively, a Mississippi husband and wife who studied together, earning bachelor’s degrees en route to law school. 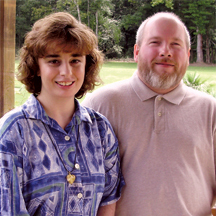 Both graduated with honors and benefited from Excelsior College scholarship programs. 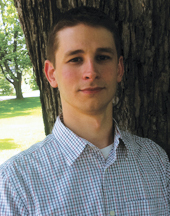 Robert Acree, a 27-year-old Navy enlisted man from Saratoga Springs, New York, who earned his degree in nuclear engineering technology, as a key step toward eventual private sector employment. U.S. Marine Corps 1st Sergeant Adam J. Carlson, 40, of El Paso, Texas, finally completed his liberal arts degree through Excelsior’s onsite program at the prestigious Sergeants Major Academy in Texas. His education included earning college credit by examination and Excelsior coursework. Megan Wilcox and Carissa Westring, who are advancing through the ranks in the nursing profession. Megan, 31, of Nassau, New York, a single mom and the student speaker at Commencement, earned an associate degree in nursing that will lead to registered nurse licensure. Carissa, 41, of Sartell, Minnesota, had to leave a traditional nursing school to raise a family of four on her own, but she was able to complete her bachelor’s degree in nursing online, to accelerate her career advancement in the nursing profession. "I tell everyone I know all about my excellent experience with this college. The option to learn in a nontraditional way is so valuable because it does open up the doors that are otherwise closed for many of us," said Megan Wilcox. Excelsior graduates achieve their educational goals through Excelsior’s cornerstone programs: Prior Learning Assessment, online coursework, and by earning college credit through examination. Many are the first in their families to achieve a college degree. As distance learning continues to gain traction as a first-choice option among adult learners, Excelsior College counts nearly 142,000 graduates in its first 40 years. For those unable to attend in person, Excelsior will broadcast the 40th Anniversary Commencement live on the Web.